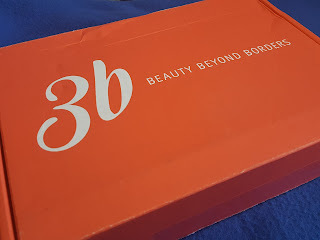 The first thing I noticed is that 3B now has their very own branded box! They've come a long way in terms of packaging since that flimsy white wraparound style that would let everything fall out. I'm very happy with this improvement. Now on to the contents! 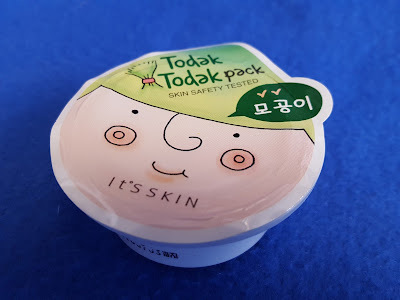 It's Skin Todak Todak Pack (Pore) - It's Skin makes several versions of Todak Todak wash off packs; they're basically single serve masks (actually, it has about two uses) that you apply then wash off after 15-20 minutes. The Pore (aka green) variety contains green apple and egg white and is supposed to reduce the appearance of pores. You can't permanently reduce the size of your pores, but it is possible to make it look like you did, at least for a couple of days at a time. My pores are huge - Bring it! Etude House Moistfull Collagen Deep Cream - This cream is 49% collagen. BUT just because something contains collagen doesn't mean it'll magically transfer to you. Applied topically, collagen won't sink right into your face because collagen is a huge molecule and is inefficiently absorbed by the skin. You're better off boosting collagen production naturally by eating Vitamin A- & C-rich foods. 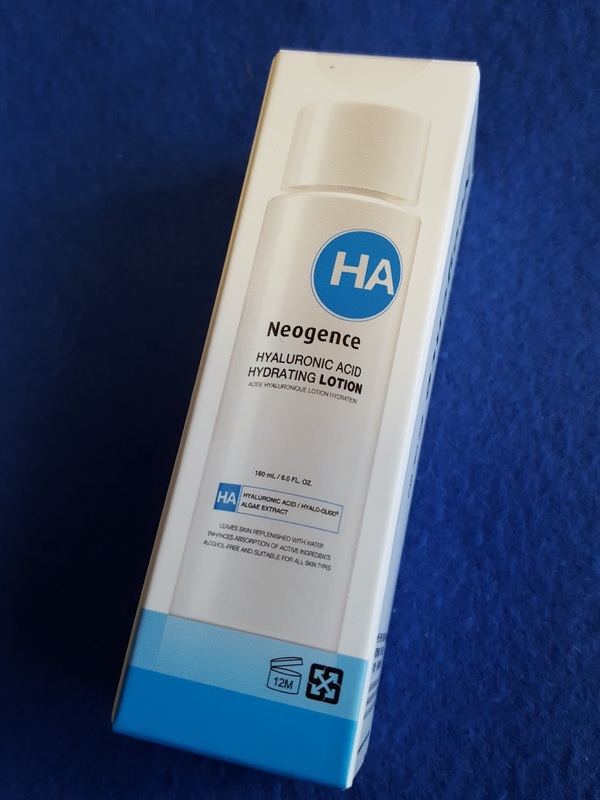 Neogence Hyaluronic Acid Hydrating Lotion - Before you start adding this to your list of moisturizers to buy, note that "lotion" here really means toner. The main purpose of a toner is to restore your skin's pH in preparation for the rest of your skincare routine, but in addition to that this toner contains hyaluronic acid for an extra boost of hydration. I guess it does have moisturizer properties after all, huh? 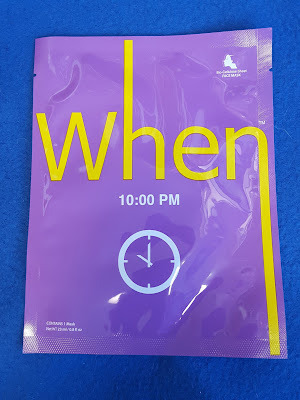 When 10:00 PM Sheet Mask - As the name suggests, this is a nighttime mask which means it's intensely hydrating. It contains hydrolyzed collagen which is supposedly readily absorbed by the skin, but it also contains vitamin C and antioxidants to boost your own collagen production as well. 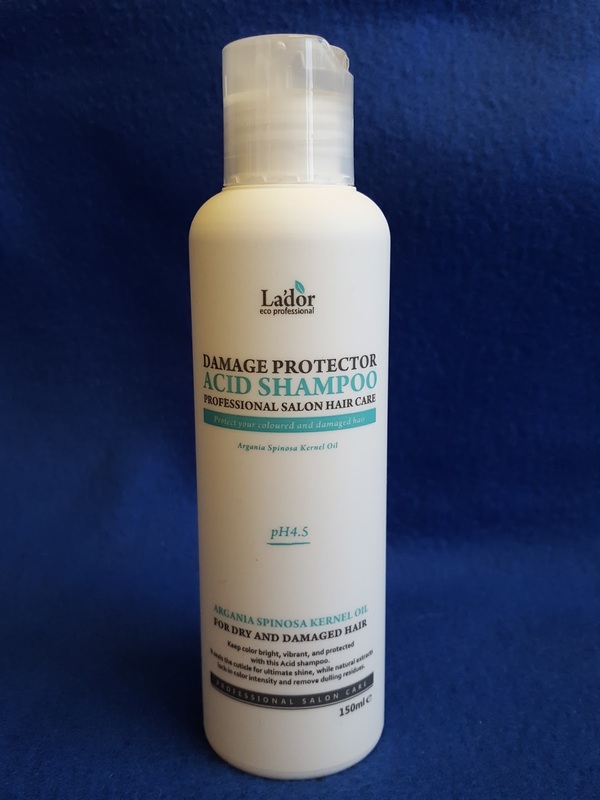 Lador Damage Protector Acid Shampoo - Most shampoos are slightly acidic in order to maintain hair's natural acidity; the low pH keeps hair cuticles smooth and oriented in the same direction so that hair appears shiny and healthy. I measured a pH of 4 which is on the lower end, so that means this shampoo would be great to smooth out dry or damaged hair. Plus it contains argan oil which I personally feel is my hair's best friend when it comes to blow drying and taming flyaways. And what's even better is that 3B sent a full sized bottle of this stuff! Verdict: While I probably won't be using everything this month, I'm sill pretty happy with what I will. If you can't tell, I'm super excited about the shampoo. My hair is super long so I go through shampoos like crazy. And because it's so long the ends are over three years old and definitely fall into the "damaged" category. I'm also curious to see if the Todak Todak pack actually makes your pores look smaller - I have some yucky sebaceous filaments on my nose and I go through a time-consuming ritual twice a week to make them not as obvious. If I can cut that time down in half I'd be such a happy camper. And last but definitely not least, I'm proud to announce the long-awaited launch of the 3B shop! 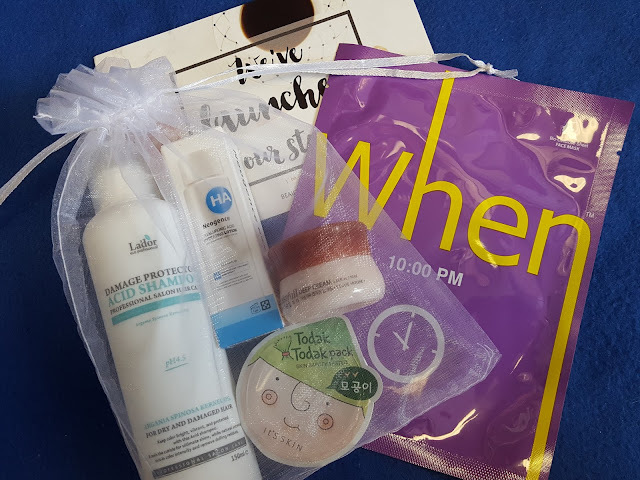 You can browse past box items by brand or skin concern and pick up more of the things you love. Speaking of love, if you love Asian beauty and especially skincare, click here to subscribe to 3B Box. At only $15/month (with free shipping!) it's easily one of the more affordable Asian beauty boxes out there.